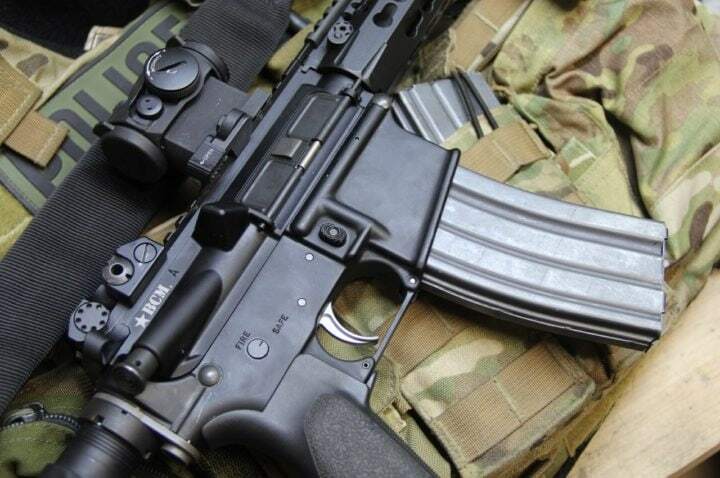 Today with about four decades behind the M-16/AR-15 development, this weapon has turned into an accurate gunning system largely due to CNC machining, improved design, better fitting receivers, and barrels. Even so, bad triggers produce bad results down range. 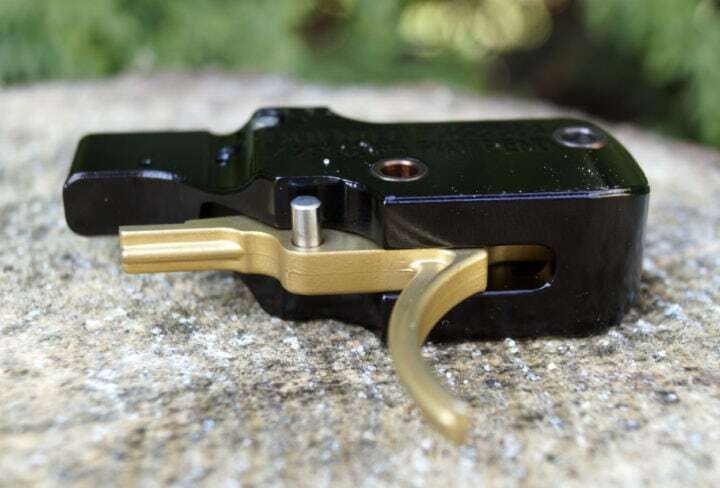 in case you're just not pleased with the results you're getting with the factory installed trigger, here are some suggestions for replacing your stock trigger with one of the best AR-15 triggers on the market. 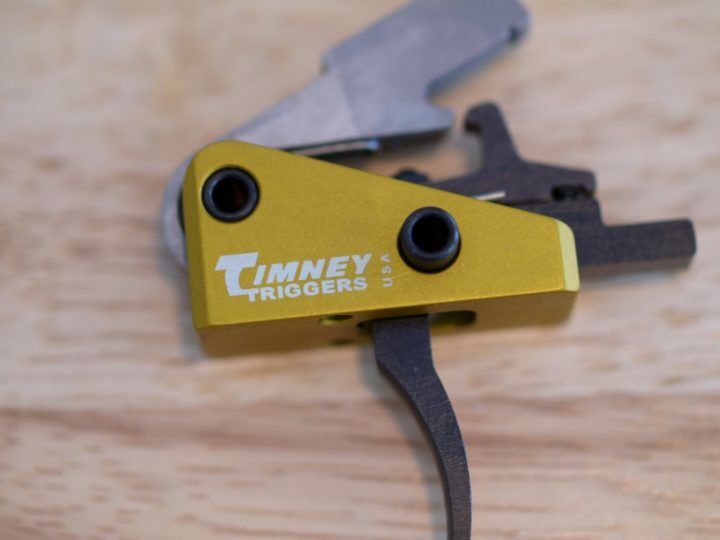 For a quality, American made AR trigger you can't go wrong by turning to the folks at Timney Triggers. Timney has a plant in Arizona that is state of the art. I know this because I have spent a couple of days going through the operation. I observed every level of development, testing and manufacturing that the company does. When a Timney trigger hits the assembly clean room, every element of care is taken to ensure the production of the best trigger possible. Any error in measurement means the part is off the line. I never saw an issue with anything being brought together in terms of rifle triggers when I visited the facility. 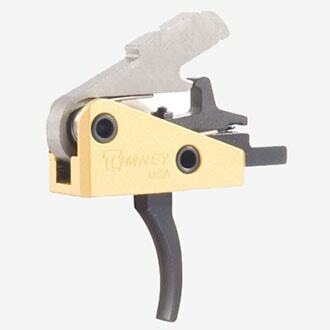 The Timney AR-15 trigger is a self-contained module. 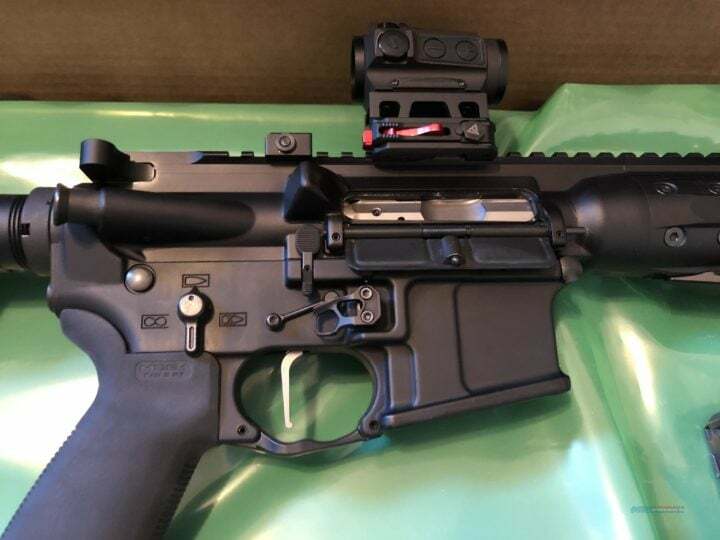 This drop in trigger installs as one trigger module not a bunch of springs and parts that require five hands and two men to put together in the AR's receiver. This trigger module is ready to install. All you have to do is place it in your AR-15. This is a single stage trigger, meaning that it has one length of trigger pull as it drops the sear thereby releasing the hammer. The triggers are all hands on tested and weight measured prior to being packed for shipment to stores or individuals. 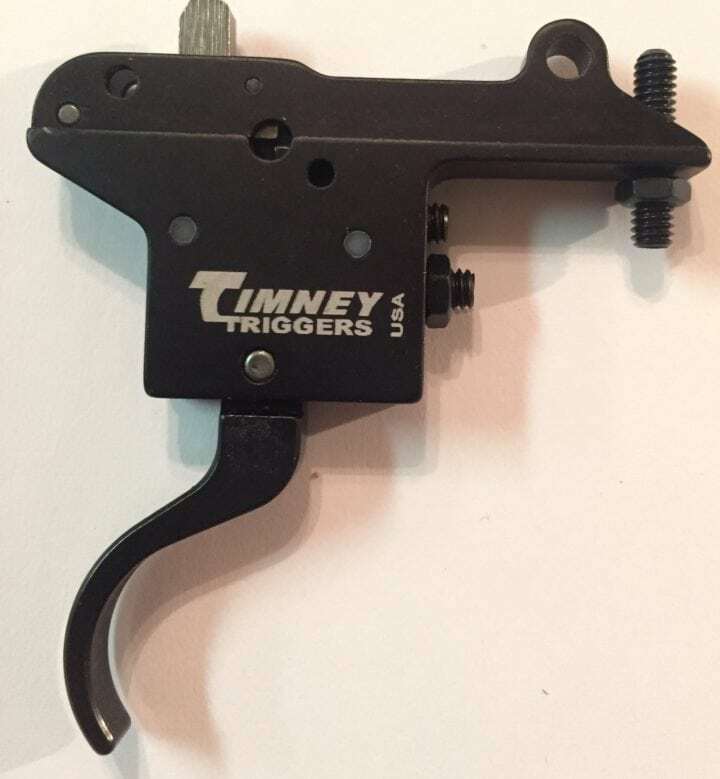 When a Timney trigger is installed in your AR-15, the feel is like a bolt gun instead of the common crank effect on some basic combat model M-16/AR-15's. The guts of the Timney is an all aluminum housing and a hammer machined of high-grade S7 tool steel. This trigger is built to hang together under very heavy use. This part is heat treated at an RC of 56/60. The trigger installs using your own factory hammer and trigger pins for fast but accurate placement within the lower receiver. Poly receivers (lower receivers) require a special install plate that Timney can supply. Geissele SSA/Geissele Automatics LLC offers twelve different variants that cover a high degree of military, law enforcement, and hunting field applications. These AR triggers are a bit complicated and should be installed by a gunsmith and checked for correct fit and operation. 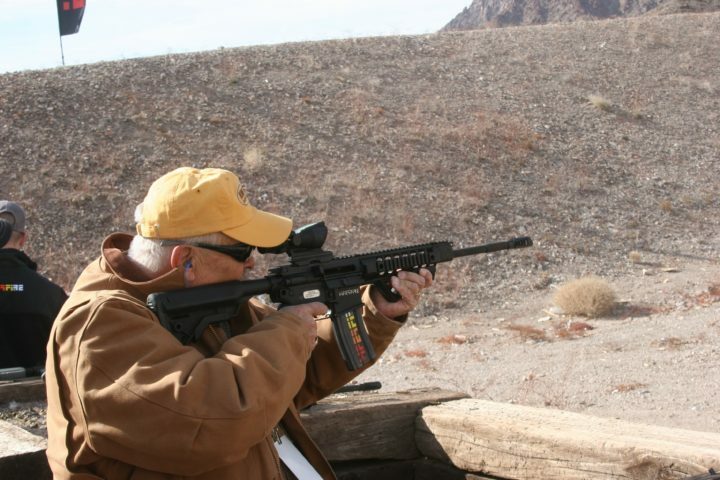 Geissele Automatics offers a single stage and a two stage trigger system. The travel is taken up by the shooter in the two-stage design by adjusting the let-off point. 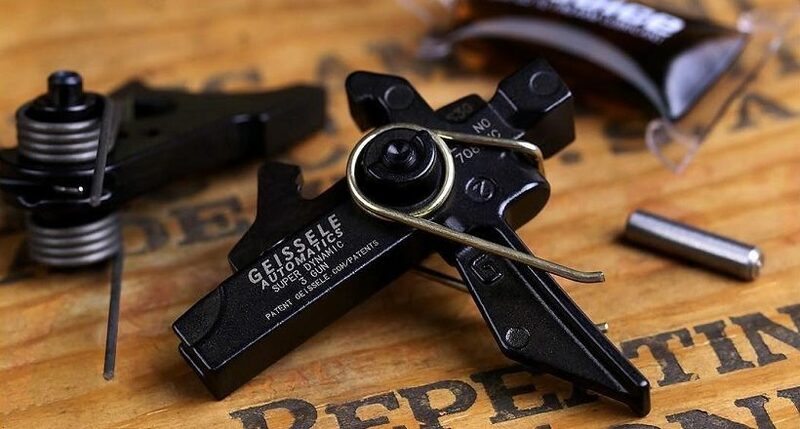 The Geissele trigger is built to some degree toward the gun competitions and combat operations when the weapon's auto settings are being used. A single stage trigger is also built for shooters who want accuracy in long-range shooting situations. The shooter has a choice; therefore, try and select the option that best fits your needs. 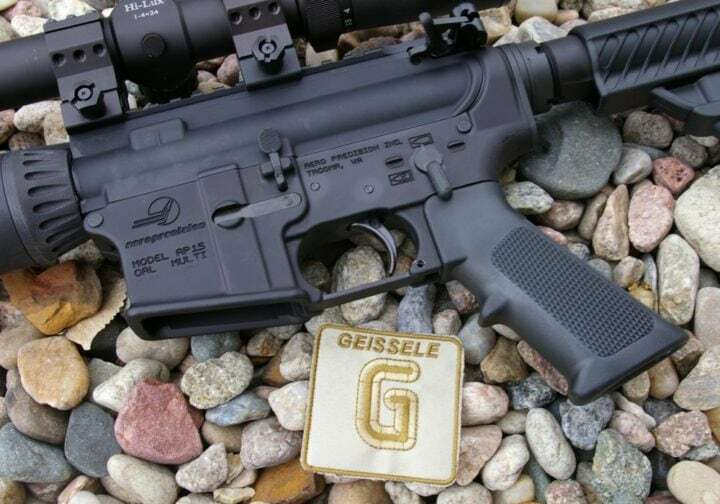 Geissele also manufactures a specialized trigger for the gun competitions. The price range is from $165 to $325 for most models. If you are considering this trigger, shop wisely for the very best model. 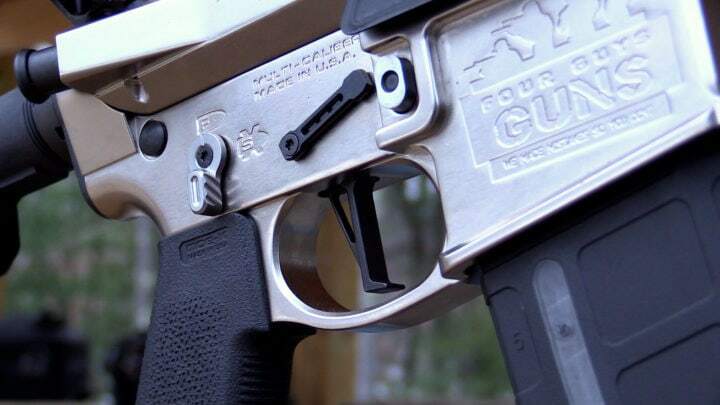 In effect, you need to know your mission before installing a new AR-15 trigger system. 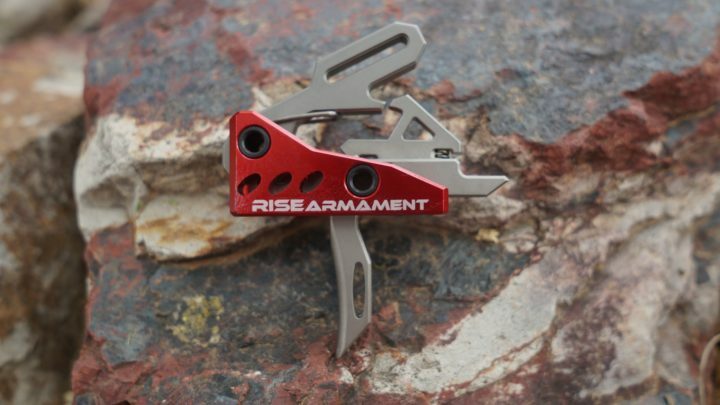 This AR-15 trigger is offered in many variations as a “rapid fire” and other fire trigger systems for your AR-15. 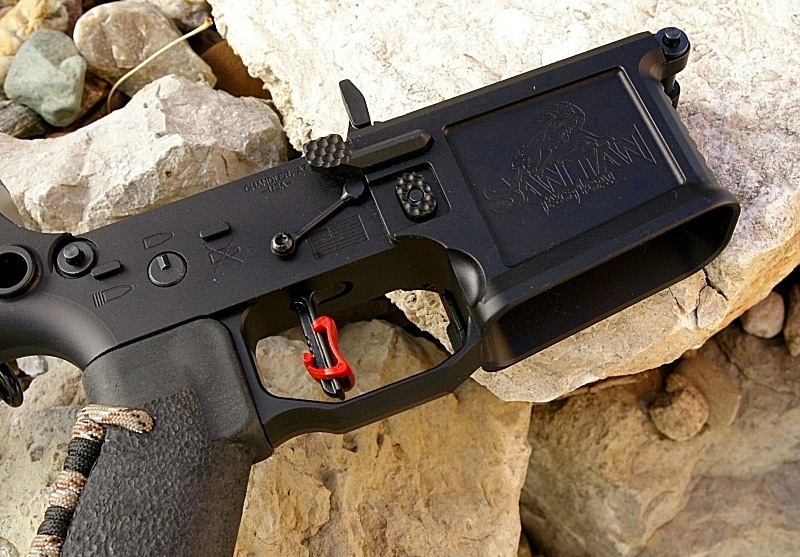 The CMC Triggers is the home of the AR-15 Drop-In Design. 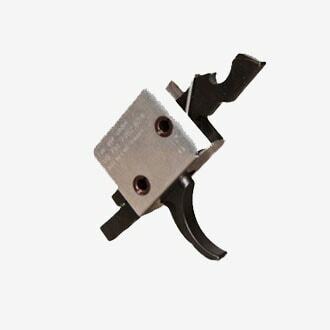 This trigger is built to be installed as a single trigger module versus a pile of parts. The system is self-housed and easy to install. 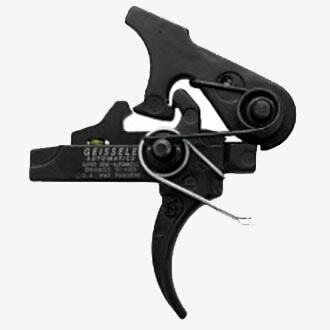 This trigger receives high marks among shooters as it is smooth, involves minimal lock time, and features a positive trigger reset. These are all elements that make for a dead-on hit at any range instead of a missed shot or a hard to control weapon system. Regardless of the AR-15's chambering including everything from 22-250 Rem, 300 BO, through a SOCOM style setup, the CMC Triggers are going to work. This trigger is an budget trigger. While the trigger is very workable, it is used less often by the military or law enforcement. 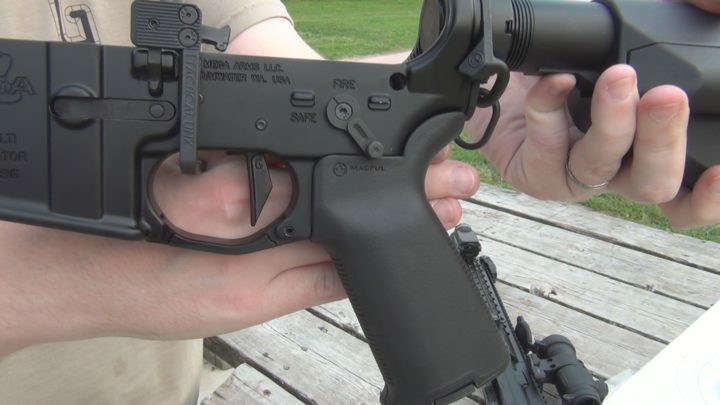 The ALG Defense Advanced Combat Trigger (ACT) appeals to shooters looking for a budget model. 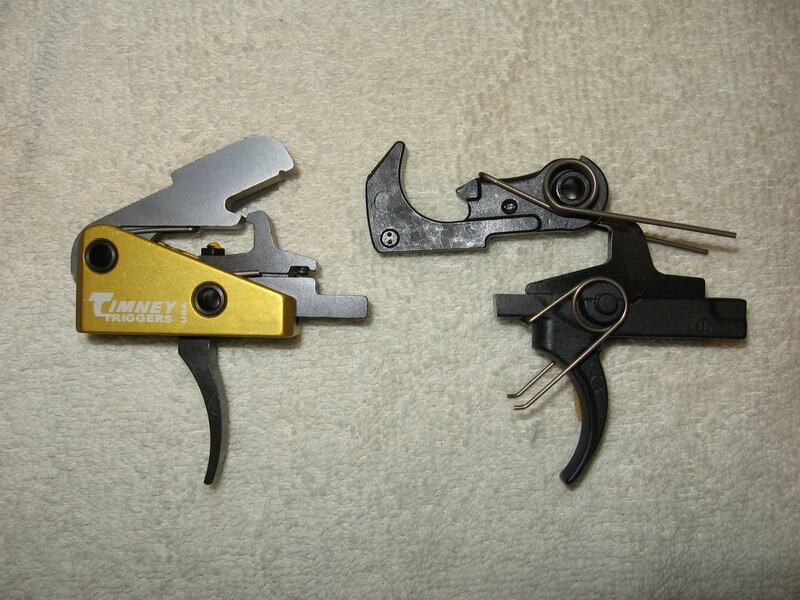 This trigger sells for $129 This is a low price in the world of aftermarket trigger systems. For the shooter who wants a conventional trigger like those found on many AR -15 lower receiver assemblies, this is one way to make that work. 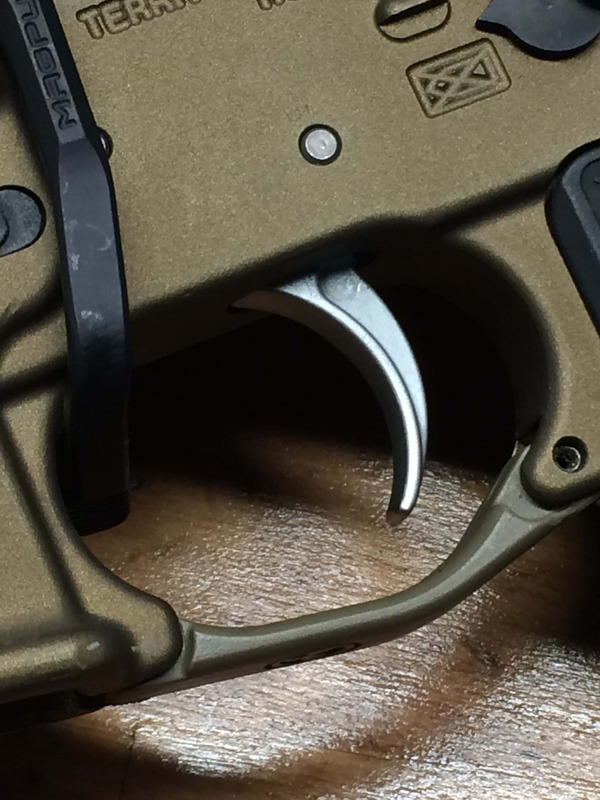 ALG states that their trigger pull is sharper than the standard factory trigger. At a pull weight of 5.5 lbs, this is a bit heavy. However, it is a good general purpose trigger regardless of its weight. The trigger, as well as the hammer, are made from mil-spec 8620 alloy steel. The metal is correctly carburized, quenched, and tempered for maximum surface hardness. The disconnector is 1070 high carbon steel properly austempered into the spring range of hardness. All springs meet mil-spec requirements. This trigger goes above and beyond the standard M-4 trigger and meets U.S. Defense Act requirements. TriggerTech makes many different triggers and in the mix stands the AR-15 variant. This is a two-stage trigger. The slack is taken up prior to the trigger hitting the wall. This is a drop in trigger. The installation is as easy as pulling two pins and pulling out the old trigger and replacing it with this drop in trigger. The overall feel of shooting with this trigger is much like shooting a Model 1911 45 ACP Government Auto. This trigger provides zero creep once hitting the wall. Any variation in the pull weight of the trigger will not change the hammer force applied to the chambered round. Trigger Tech regards this as a company specialty. 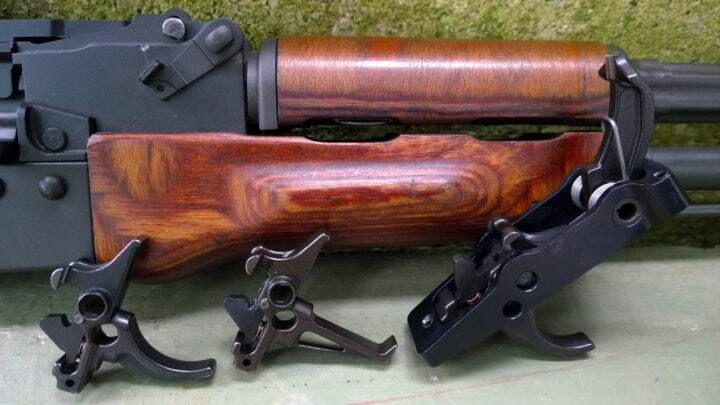 The buyer will have a choice of purchasing a curved or straight trigger lever. The trigger action is short two stage. Hiperfire is a brand that I have come to know quite well. Coming out of Minnesota, my old home base, the company has allowed me to spend some time at live fire demos. I yanked some triggers on the military based products day at Boulder, NV just prior to the Great American Shot Show. Hiperfire turns out all the toys for big boys and then lets the fun begin. 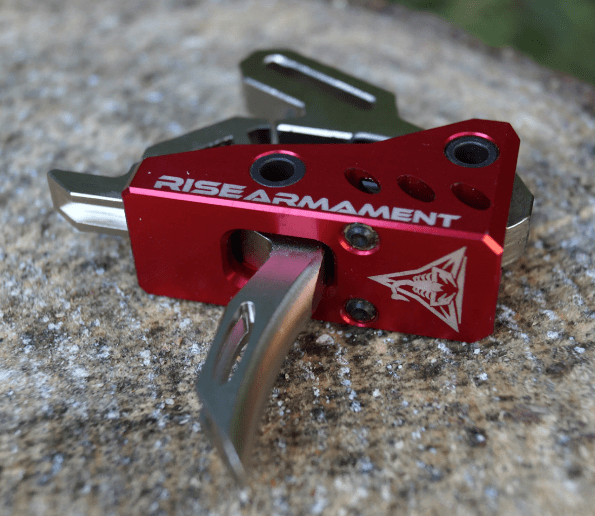 Offering a complete range of triggers from competition to combat based systems, the company is a class act in terms of building some great AR-15 platform aftermarket trigger systems. Hiperfire triggers, such as the Hipertouch TM competition model, stand tall among competition triggers required by guys running their AR's for the big money shooting events. This trigger retains no take-up/pre-travel, maintains a very hard hitting hammer, and features a soft start lock-up TM (for preignition stability). The trigger weights run from 2 ½ to 3 ½ pounds. HiperFire Jerome Besler, Engineer Ballistics Research & Development, uses full auto with HiperFire as he yanks the trigger and tests the results down range. This trigger makes use of “Hipershoe” TM. Hipershoe focuses on the trigger finger pad that allows the shooter to maintain a precise angle and position on the trigger for every shot taken. 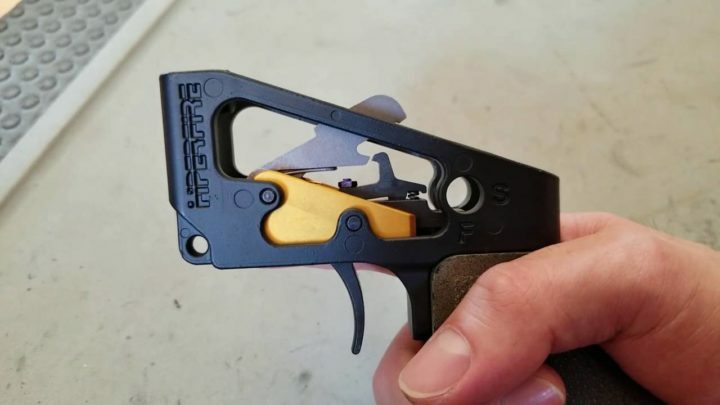 This is a unique trigger design. The trigger retains U.S. Patents. Right in the middle of the $250 trigger price range stands the model RA-535 AR-15 trigger. 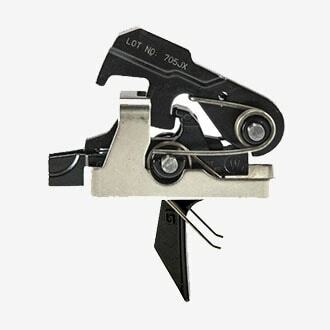 This trigger is built with high quality and is intended for accurate shooting of a competitive nature. This trigger has a very short overtravel. This aids in making accurate shots at longer ranges. Because of engineering development, the AR-15 and the new hypervelocity long-range .224 Valkyrie cartridge have moved into the 1400-yard game among long-range centerfire rifles. 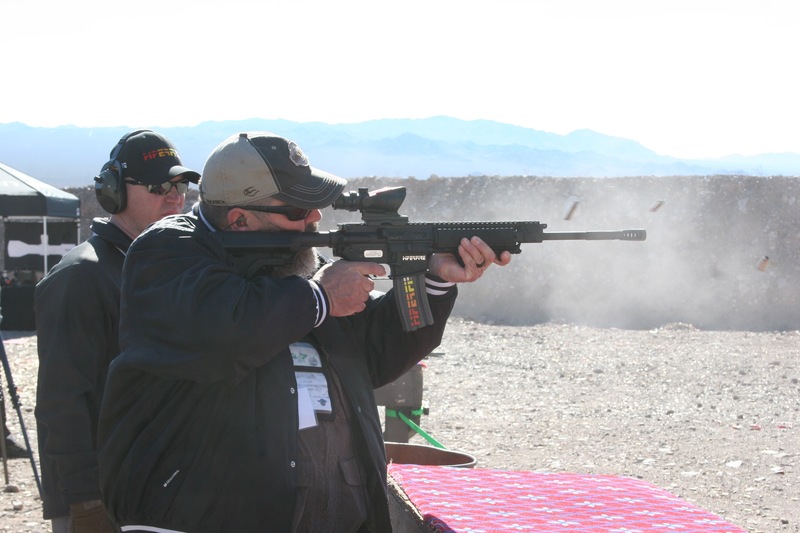 Any advantage that can be gained by way of something such as a quality trigger needs to be looked at seriously by the long-range or competitive rifle shooter. The RA-535 is a single stage trigger with a 3.5-pound trigger pull weight. 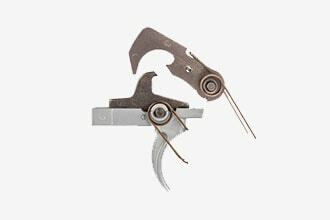 The trigger combines straight pull with a super crisp release in order to improve accuracy. The self-contained design makes it a quick install (drop-in). 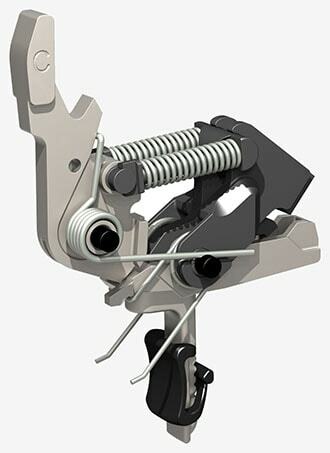 For installation, the trigger uses anti-rotation pins supplied with the trigger kit. This trigger has a lifetime guarantee. In general, the triggers listed here range in price from about $150 to $250. All triggers function well. Depending on the need, the price may be a factor in trigger selection. Law enforcement and special operators want the very best possible system available. The casual shooter may not need to purchase equipment or aftermarket parts that have such high-quality and carry a large price tag.